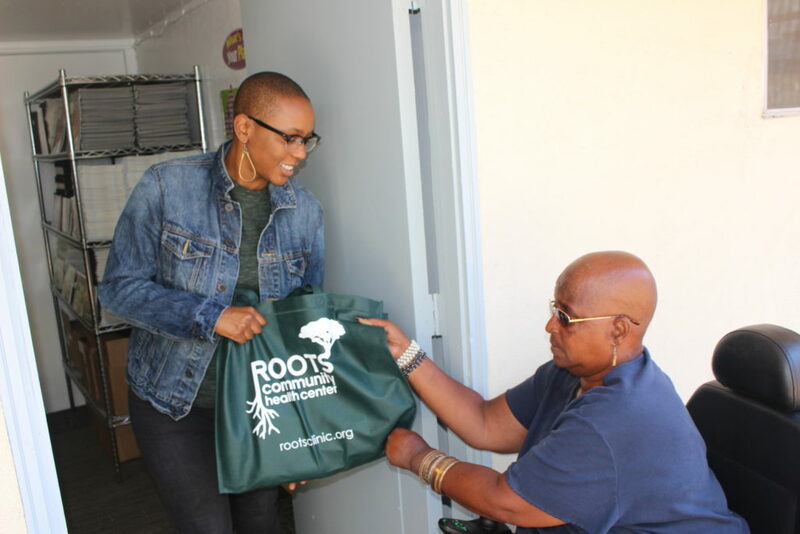 The Roots Community Health Center is a non-profit health clinic in East Oakland that was founded in 2008 and currently has over 29 different programs to serve the community. One of their most recent additions is the Roots Community Market. For more insight on the new program, I spoke with Service Development Manager, Julian Johnson. Johnson went into further detail on the overall process. 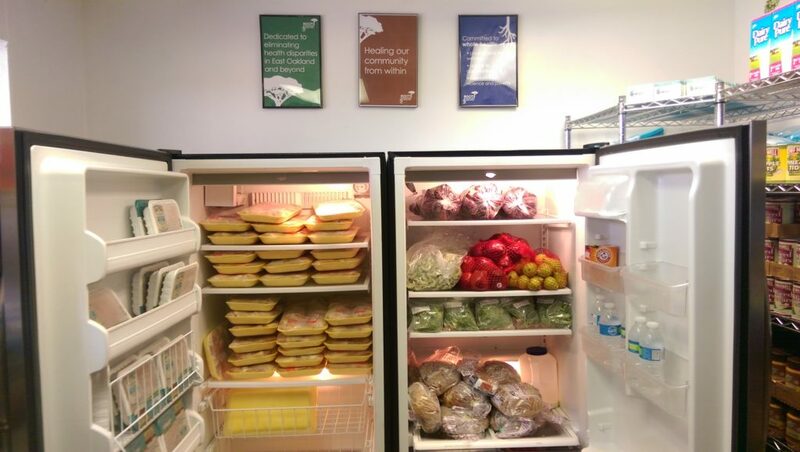 Looking to add some dignity into the process, the Roots Community Market developed a point system for their clients when selecting food. The amount they are able to take is determined by the amount of people in their respective families. Aside from giving their clients food, the market has also been able to further expand their knowledge and use of the produce. Julian Johnson, left, distributes a bag of food. As for any potential leftovers, there isn’t any need to worry. 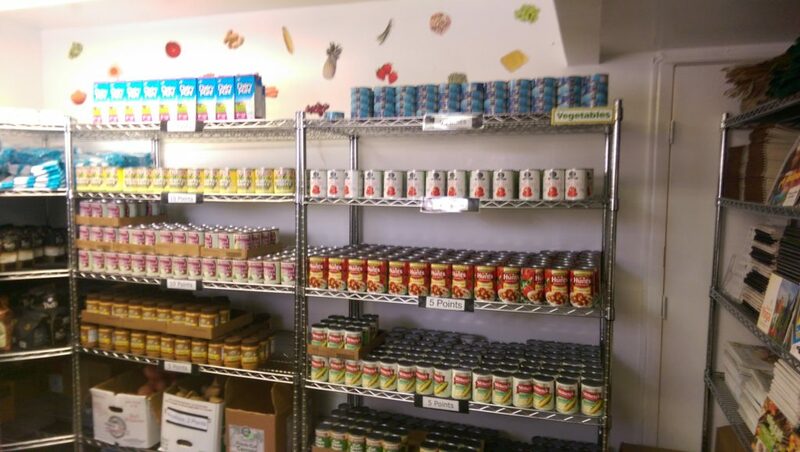 In their first month open, the Roots Community Market served 116 people – 26 children, 30 adults and 60 seniors. They served 100 people as of July 12, when I did the interview. It was a pleasure talking with Johnson and getting to see in person the infrastructure Roots has been able to create. 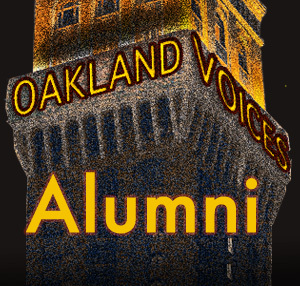 It includes food and all of the many other services they provide through kind-hearted community members who are truly looking to make the world a better place, starting here in East Oakland. To strengthen the message, I will end the article with these strong words from Johnson. 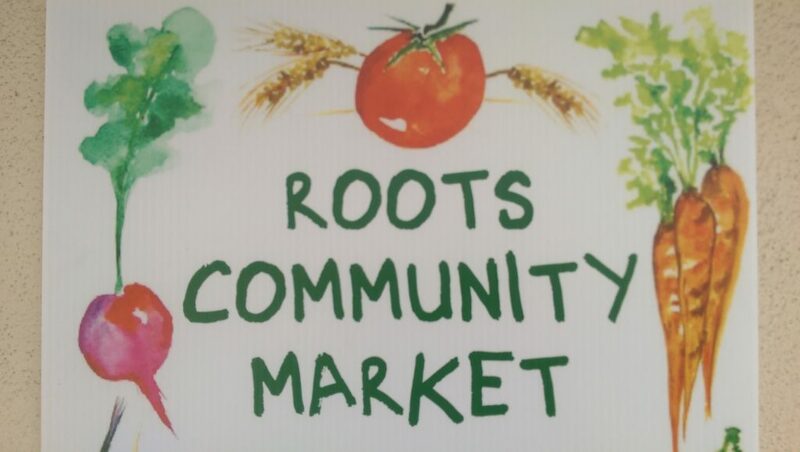 The Roots Community Market is open 9 a.m. 5 p.m., Tuesdays and Thursdays with Welcome Wednesday in between. The Roots Community Health Center is located at 9925 International Blvd. Oakland, CA 94603. You can contact them at 510-777-1177 or go to their website rootsclinic.org. Happy to find out people are trying to do what they can to help out others. Great to see there are people who care about each other and their society. It’s nice to see they’re not giving up and are trying to make Oakland a better place.